We offer many ways to pay your SA Water bill. You can choose the one that suits you best. For information about the cost of our services, including late payment fees, please visit our Water and Sewerage Prices page. Residential customers can login or register for mySAWater where you can view, pay and manage your account easily anytime 24/7. It's easy to set up direct debit. You can choose how much and when you want to pay. Pay online, you just need your account number and credit card details. Pay using your credit card. If this is your first time paying with us over the phone, make sure you read our terms and conditions of payment. Reference Number: Located next to BPAY Logo on your bill. If you're a Centrelink customer, you can use this free, direct bill-paying service. Call for more information. You can pay at any Australia Post or Commonwealth Bank branch excluding credit card payments. Alternatively you can pay at SA Water House with all payment options available. hotline on 1800 307 758/ TTY 8226 6789.
a payment plan so that overdue accounts and new bills are paid as early and easily as possible. If you’re having difficulty paying your bill, please talk to us so we can help you get back on track. Please call us on 7424 1650 during business hours. remove the worry of debt collection or legal action. We negotiate payment arrangements on a case-by-case basis because we appreciate that everyone’s circumstances are different. With our help, customers finding it difficult to pay their bills can also access free, confidential and independent financial counselling, support and assistance. Read our Customer Assist Brochure and Hardship Policy to find out more. 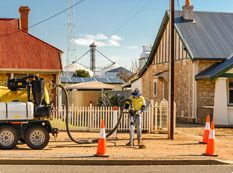 By submitting a Direct Debit Request (DDR) you have authorised SA Water (User ID 67201) to arrange for funds to be debited from your nominated account through the Bulk Electronic Clearing System (BECS). SA Water will debit your account in accordance with the conditions below. SA Water will only arrange for funds to be debited from your account as authorised in the DDR. 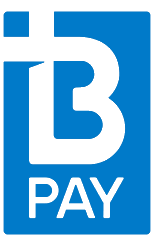 If the debit day falls on a day that is not a business day, SA Water may direct your financial institution to debit your account on the following business day. If your current bill is due within 5 business days of you setting up the direct debit arrangement, please contact us prior to making additional payments via other payment methods. Direct debit is a method of payment and not an acceptance of a payment arrangement to clear arrears unless it has been approved by SA Water. SA Water may vary the terms of this agreement at any time by giving you at least fourteen (14) days written notice. We may terminate this DDR at any time, including if one or more of your payments are dishonoured or rejected by your nominated financial institution. If we terminate this DDR where your payments are dishonoured or rejected, we will notify you in writing. Log in to mySAWater to manage your DDR personally. It is your responsibility to ensure that there are sufficient clear funds available in your account by the due date to allow a direct debit payment to be made in accordance with the DDR. You must arrange for the payment to be made by another method. You should check your account statement to verify the amount has been debited. It is your responsibility to let us know if your financial institution branch number (BSB), account number, credit card or debit card details including account number, type or expiry date change at least five business days before the direct debit deduction date. 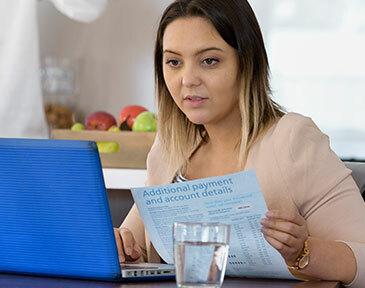 If you believe there has been an error in debiting your account you should contact SA Water on 1300 SA WATER (1300 729 283) or confirm this in writing with us as soon as possible or email: directdebit@sawater.com.au. Alternatively you can contact your financial institution. With your financial institution, if you are unsure how to complete the account details on the DDR. The details provided in the direct debit confirmation letter/email are correct. Your records and account details will be kept private and confidential. Those details will only be disclosed if you or your financial institution requests them in connection with your direct debit payment arrangement or they are required to be disclosed by law. Government Information Privacy Principles. If you wish to update or access the information that SA Water holds about you, please contact SA Water. Confirm that all details as completed by you in the request are true and correct. These terms and conditions apply to payments made online or by phone. We do not accept Diners cards. The maximum amount you can pay is $100,000. You will get a reference number for your transaction. Enter the right bill information. Enter the right payment information. If you make a mistake, your bill might not be paid. If you pay before 5 pm Monday to Thursday, your payment will be on your account within 24 hours. If you pay after 5 pm Monday to Thursday, it can take up to 48 hours for your payment to come through. If you pay on a Friday your payment will be on your account the following Monday. The transaction you make might still be stopped by your bank. This is why your payment reference number is not a payment confirmation. If your payment does not go through, you must contact your bank to find out why. We won't know if this happens, so we won't be able to tell you. Transfer the money to another account. Leave the money in credit on your account. The action we take depends on what sort of mistake it is. In this situation, the help we can give you is limited. If you make two payments by mistake, but those payments don't clear your outstanding debt, we may not be able to give you back your money. Please call us if you need help with this type of mistake. What we do will depend on whether or not you own the property being billed. If you do, we can arrange a refund in the way that best suits you. If you don't own the property, we may need to see proof of payment before we take any action. You will need to give us proof of payment, such as a bank statement, to start this process. Call us for more information if you are unsure. Any refunds you are owed will be issued by either EFT (Electronic Funds Transfer) or cheque, depending on your preferred refund. Refunds can take up to five business days to process with a response being sent via post or email, depending on information provided at the time of requesting the refund, and the preferred method chosen to receive the refund. The total time it takes for you to receive your money also includes things we cannot control such as delays in bank processing or delivery of cheques via Australia Post. 24/04/2019 12:06 PM - We are attending to an incident in Dover Gardens with no interruption to the water supply. The safety of our crews and customers comes first, and we always aim to minimise inconvenience by restoring services as quickly as we can. Reference Number WO: 06901064.